*LARGE PRICE IMPROVEMENT* *Kitchen has just finished being updated with new countertop, flooring, and paint. 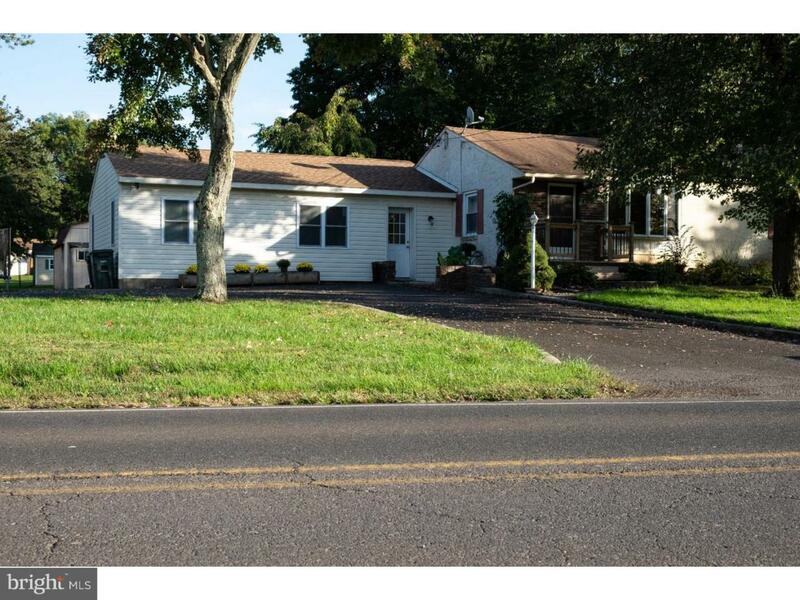 * Come visit this spacious 3 bedroom/2 bath ranch home on an approximately 3/4 acre lot in the Council Rock school district. The 1,200 square foot detached heated garage/metal building offers parking for as many as 6 vehicles or a great workshop. The large master bedroom suite features a huge sitting/den area, walk-in closet and mater bathroom. This large property features a circular driveway with ample parking, a backyard patio perfect for outdoor entertaining and a large level yard. The recently expanded eat in kitchen offers great entertaining space and a sliding patio door leading to the rear patio. Other features of this home include central air conditioning, large basement with walk out entrance and original hardwood floors (currently covered) thru out much of the home. The master bedroom suite could possibly be turned into an in-law suite. Low taxes are another bonus to this property. Very motivated sellers. Inclusions Washer Dryer Refrigerator In "As Is" Condition.